This is a milestone year for the Steel City Jazz Festival. The festival has had many ups and the occasional down over the years but I’m glad to say the process has been filled with amazing people who share my love of jazz music. The people I’ve met through the festival over the last five years have made the many times I didn’t think we’d ever get to the five-year mark well worth it. From musicians to audience members to radio hosts, the music lovers of Hamilton are the best motivation and reward for the long hours put in promoting this little festival. The Smordin Law Artist-in-Residence series was started with the goal of connecting those music lovers with the festival. I love the idea of the festival somehow being more than the sum of its parts, and I think the Artist-in-Residence series helps get it there. By seeing the same artist multiple times over the course of the festival, you get to know them better. The Artist-in-Residence gets to show a broader range of their work, forge relationships with other musicians and experiment with new projects. I hope that by the end of the week the audience and the artist feel better connected to the Hamilton jazz community. 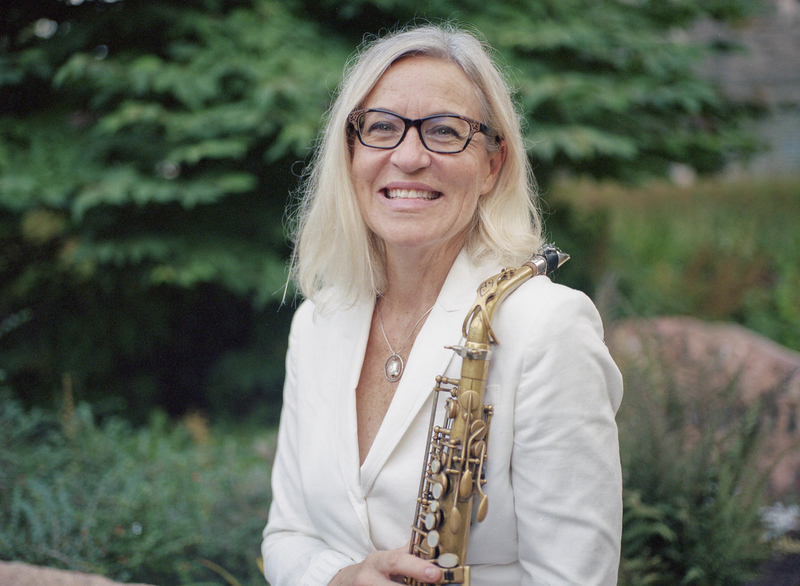 Colleen Allen, our 2017 Smordin Law Artist-in-Residence, understood immediately what we want to accomplish at the Steel City Jazz Festival, and I think she’s put together our best series yet. Colleen is a very accomplished musician: she’s a Mohawk grad (! ); a multi-instrumentalist who performs on saxophone, flute, clarinet and accordion; and has played with Molly Johnson, David Clayton Thomas, Holly Cole, Emilie-Claire Barlow, Rik Emmett, Marc Jordan, Hilario Duran, The Toronto Blues Review, Andrew Craig, Jackie Richardson, Women With Horns, Cirque Du Soleil, and SoulPepper Theatre (among many others) . Colleen will be performing four times over the course of the festival with four very different bands: Colleen opens the festival at Artbar October 24th with her quartet and vocalist Genevieve Marentette; she joins Caribbean jazz sextet Kalabash on October 27th at Mills Hardware; on the 28th she’s back at Artbar playing with the ECM-influenced Barry Livingston Group and on the 29th Colleen closes the festival with Darcy Hepner for some ‘Alto and Tenor’ Madness. I’m so excited for this lineup. Each group is fantastic and unique. Colleen will be playing with a mix of musicians from inside and outside of Hamilton, and has been eager to get involved in the festival in every way she can. Colleen will also be kicking off our lineup of free talks on the 28th with an Introduction to Improvisation workshop at Artword Artbar at 12pm. And I wouldn’t be surprised if she showed up at a late night jam somewhere too, so keep your ears open! The Artist-in-Residence series has become one of my favourite parts of the festival, and it wasn’t possible until Smordin Law offered us their support three years ago. It’s not too often that someone comes along and tells you that not only do they like what you’re doing, but that they want to help you take it to the next level. Smordin Law has done exactly that and I’m so grateful to have gotten to work with them these past few years to get the festival to where it is today. They have been amazing friends, supporters and promoters of the festival and I am so happy to have them as a part of our community.